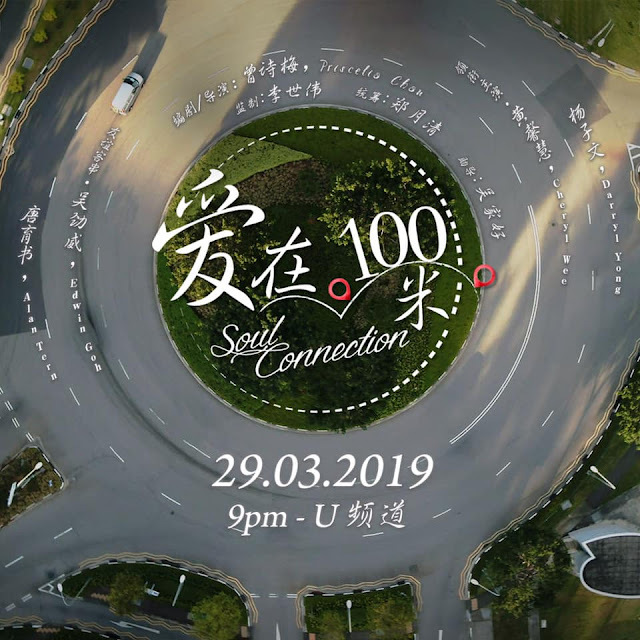 爱在100米 Soul Connection is a local short film directed and produced by my all-time favourite artiste, Priscelia Chan 曾诗梅. Darryl Yong 杨子文 whom I thought had potential was actually the leading actor. The story was light-hearted and interesting. It started with a dating app which then continue from a stranger to a friend. Though it may appear to be a romance show between two individuals, it actually reminded people about life too. I guess many a times humans cling on too tightly on certain things such as our career and finances and tend not to let those off easily. We should learn to slow down, appreciate the little things and cherish our loved ones before it is too late. Kudos to Darryl Yong 杨子文 and 黃馨慧 Cheryl Wee acting capability here as a couple. Great job, Priscelia! I thought this was a brave start for you. And yes, you did it. You may wish to catch the show here. Xiao Yang Guo Kui is the first to bring in China’s wildly loved 1,000-year-old traditional street snack to Singapore. The guo kui has been around since ancient China, and both the young and old adore it. Filled with a variety of healthy stuffings, the almighty guo kui is one's key to a healthy nutritious snack. 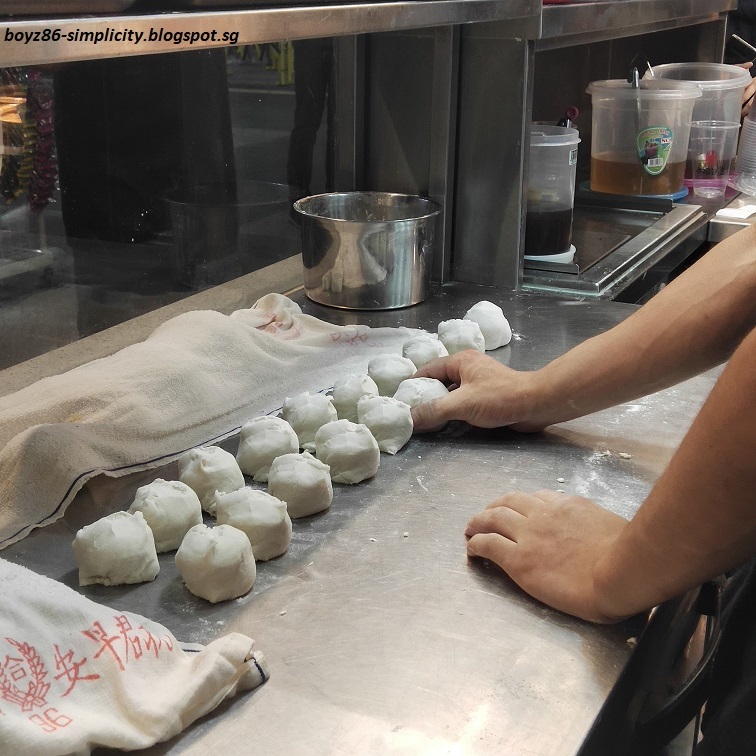 Every single guo kui is hand-knead and freshly baked to order in a huge charcoal-heated cylindrical clay oven. By preserving the traditional method of baking and yet instilling creativity in its innovative modern flavours, Xiao Yang Guo Kui hopes to remain relevant while bringing the most authentic traditional taste of the Chinese delicacy to future generations. 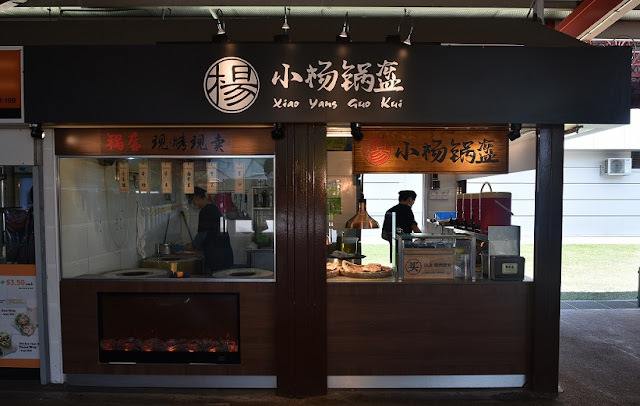 Since its opening in the heartlands of Jurong East and Choa Chu Kang earlier this month, the guo kui has been capturing the hearts of many Singaporean. 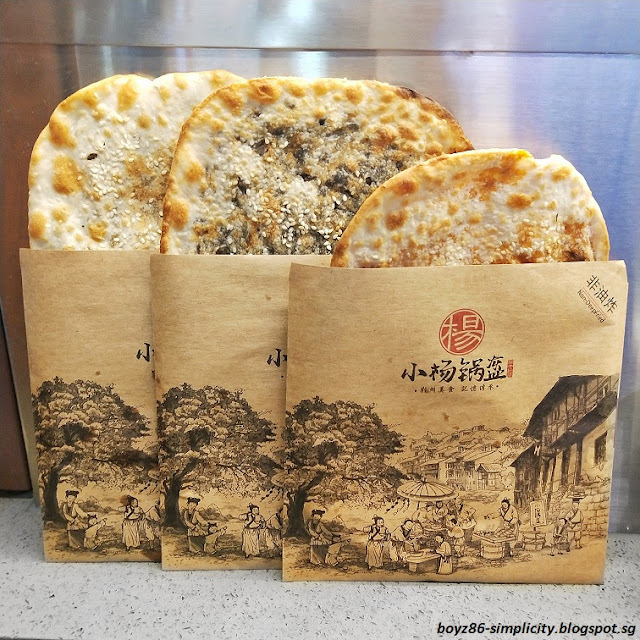 They offer 6 different flavours [5 savoury] [1 sweet] that are inspired by the different cities of China. Patrons can choose from 3 different types of vegetable filling such as the Chongqing 梅干菜 [Pickled Vegetables] $2.50, Jiangsu 雪菜 [Pickled Greens] $2.50 and Xi An 菜类 [Mixed Vegetables] $2.80 or go for their all-in-one Shanghai 全家福 [Happy Family] $3.00. Those who prefer a spicy kick can opt for the Sichuan 香辣 [Spicy Greens] $2.80 which packs a punch. You can also try their Shandong 豆沙 [Red Bean] $2.20. 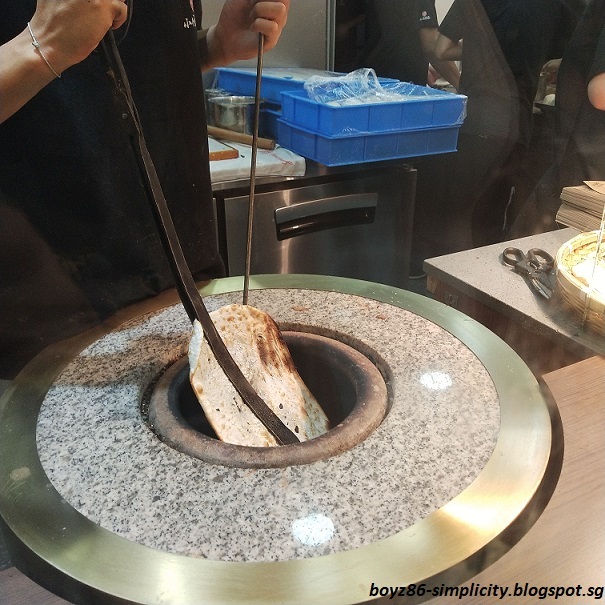 It is highly recommended that all guo kuis should be eaten fresh out of the oven for the best taste and texture. 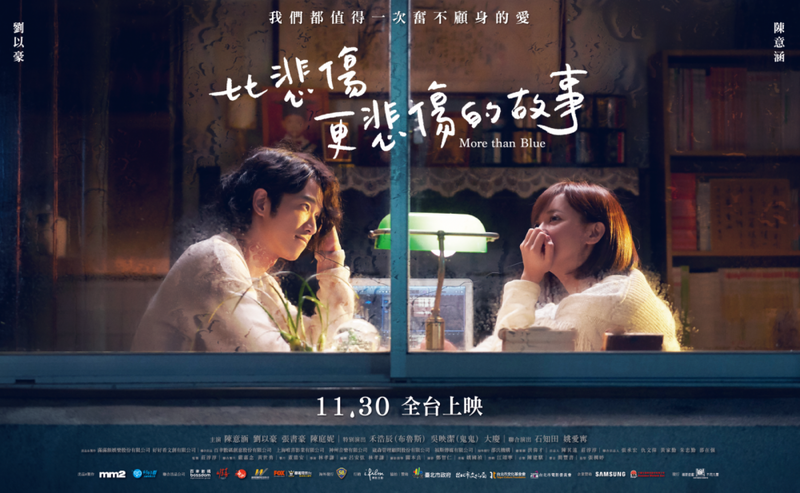 FALL IN LOVE AT FIRST KISS (一吻定情) is a Taiwanese movie adaptation of the popular Japanese manga series “Itazura na Kiss” written by Kaoru Tada. Jiang Zhishu is a smart boy, while Yuan Xiangqin is a ditzy girl who does not excel in her studies. On the first day of a new semester, Xiangqin comes across Zhishu, the handsome boy loved by thousands of girls. Starting from an unexpected kiss, Xiangqin has her unrequited love. Recently, watched Fall In Love At First Kiss 一吻定情 with mummy at Shaw theatres Nex. This romance and comedy film is directed by Chen Yu-Shan. It explains why the twist in its plot is pretty much similar to Our Times《我的少女时代》. 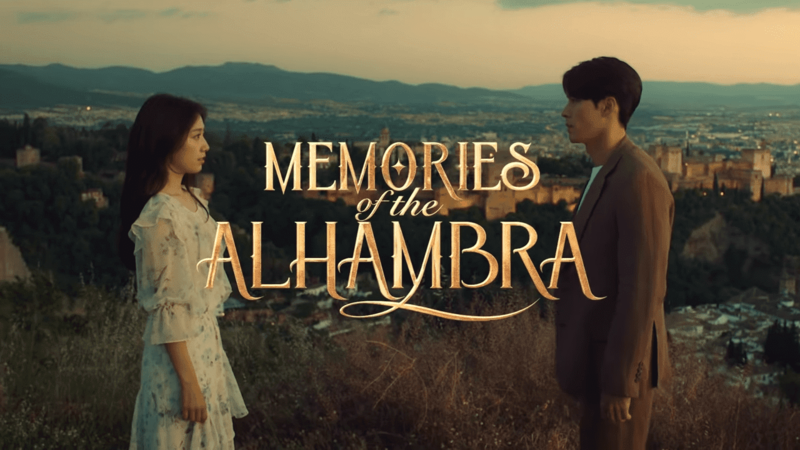 Also, it will trigger those good nostalgic memories in high school, where it journey viewers through youthful ambition, friendships and first love. The entire show focus on 江直树 and 原湘琴 from a friend to a couple. Even when circumstances may not appear positively for 原湘琴, I was touched by her gesture and effort put forth to pursue her love for 江直树. A pity that the plot is weak without a conducive content. I guess you will enjoy it more if you are a fan of either Darren Wang (王大陆) and/or Jelly Lin (林允). 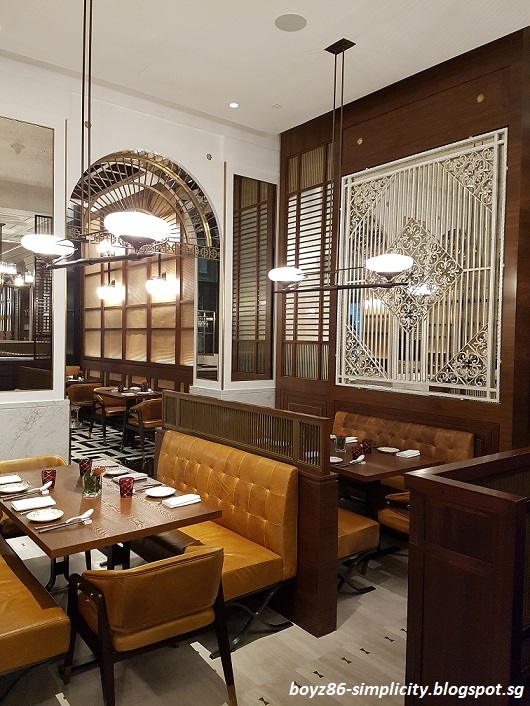 Located in Singapore’s charming civic and cultural district, the iconic Capitol Building and Stamford House have been restored to unveil as The Capitol Kempinski Hotel Singapore. A quintessential masterpiece of beautifully conserved architecture uplifted with a modern touch and bespoke hospitality, this exclusive retreat promises luxury at its finest. Timeless yet contemporary, the hotel features 157 guestrooms and suites, a lobby lounge, an outdoor saltwater relaxation pool, a fitness centre and Spa, and an exclusive event space, as well as a bespoke bar and a signature restaurant helmed by a Michelin-starred chef. 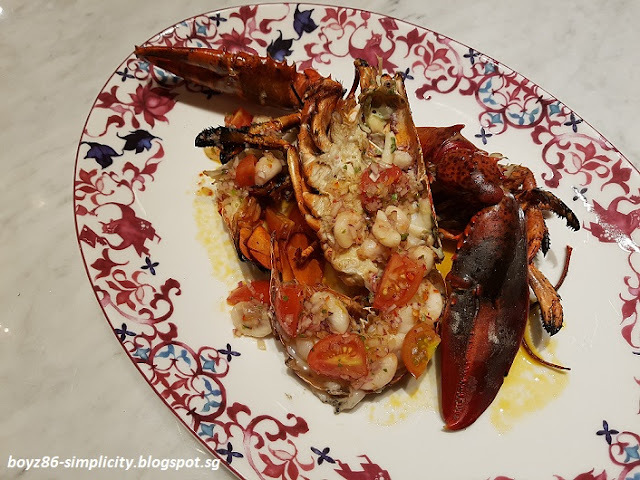 15 Stamford by Alvin Leung at The Capitol Kempinski Hotel Singapore is Chef Alvin Leung’s latest gastro-adventure to rock the Lion City. 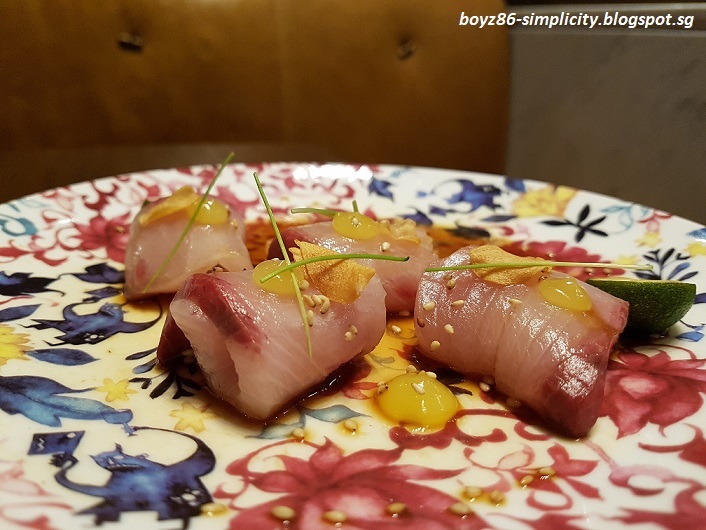 The London-born chef shot to fame for his multi-faceted cuisine at three Michelin-starred Bo Innovation in Hong Kong, using rule-breaking culinary rebellion as his personal brand. 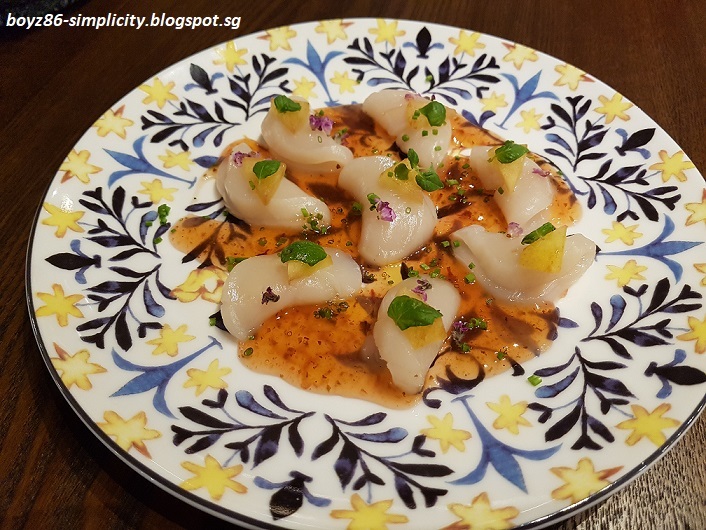 At 15 Stamford by Alvin Leung, Chef Leung has taken inspiration from his years of walking through Asia to pay humble tribute to Asian cuisine. The menu beckons to everyone, from those new to the cuisines of Asia to exacting locals who will be expecting a sensorial experience. 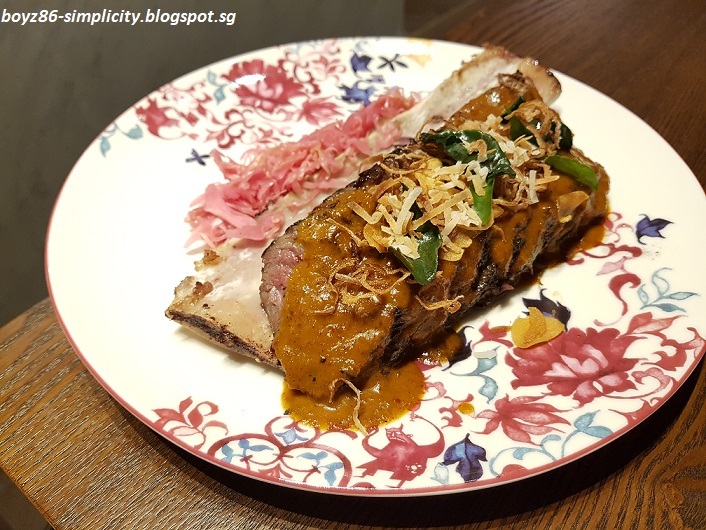 The mercurial Chef Leung is always up the challenge, having preserved the DNA of the cuisine, but imbuing his wealth of experience in contemporary tinkering. This dish is marinated with over eight herbal spices for 12 hours. 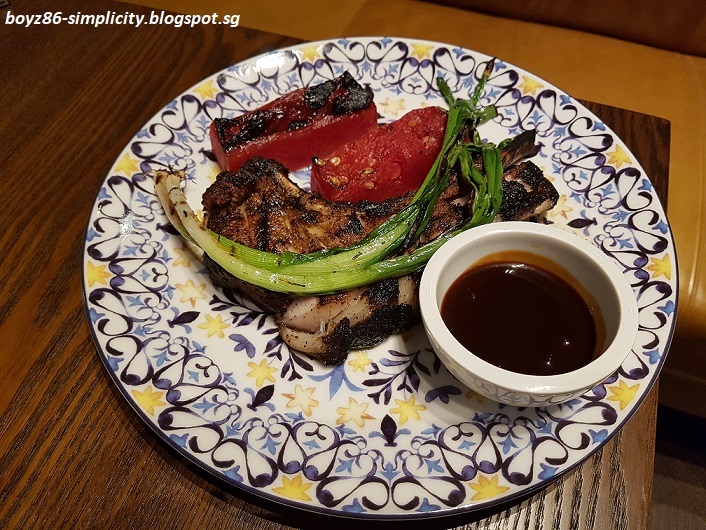 The tender char-grilled pork chops are complemented with angelica syrup-infused watermelon alongside with Bak Kut Teh-infused Barbecue sauce to create a reminiscent of earthier Malaysian-styled bak kut teh. This dish is every bit as robust as the original stew. The dish features 72-hours sous vide beef chunks in rendang marinate around freshly preserved cabbage salad, and topped with fried scallions. 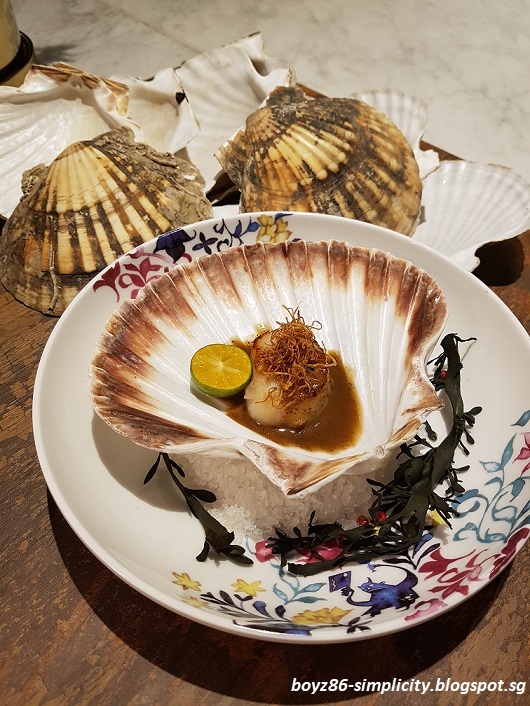 Perched inside a beautiful scallop shell is the Grilled Hokkaido Scallop with Adobo Butter and Ginger. Fresh Hokkaido scallop is grilled with Adobo butter, then made punchier with drizzles of freshly squeezed lime and fried ginger shreds. 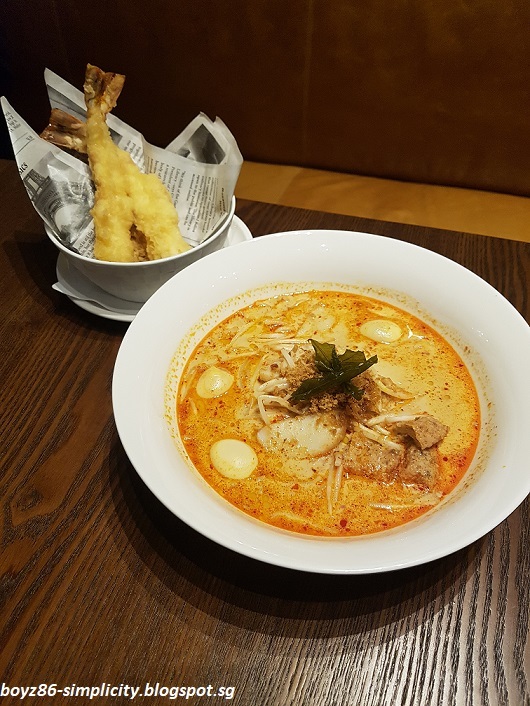 The Laksa, Housemade Dried Shrimp Floss, Chargrilled Tiger Prawns and Smoked Onsen Quail Eggs is a glorious bowl of well-loved lemak(creamy coconut milk) broth. 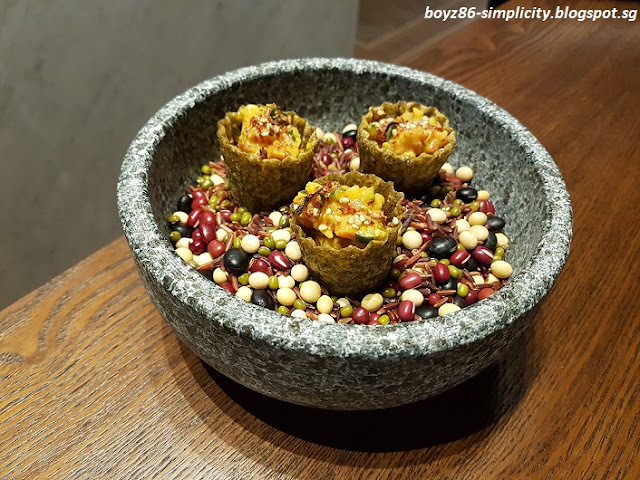 Brimming with chargrilled tiger prawns, jasmine tea-smoked onsen quail eggs and housemade dried shrimp floss, this luxe dish offers savoury decadence. 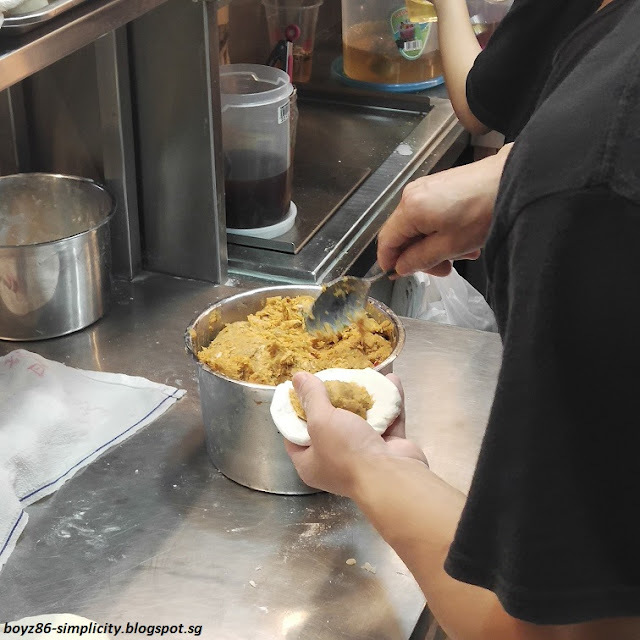 Its spools of thick bee hoon are snipped in a beloved Singaporean Katong-style Laksa tradition, so that one can slurp this bowl of Laksa up with a spoon. 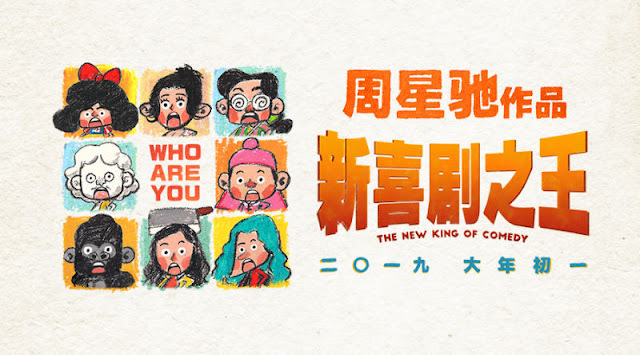 Recently, watched The New King Of Comedy 新喜剧之王 with mummy at Shaw theatres Nex. This comedy film directed by Stephen Chow had a focused story-line. It urged aspiring individual to be courageous and strive in pursuing their dreams. You never know what may come forth if you did not take a step out to even try. That being said, I believe this group of viewers will definitely relate better to the show. It educated me about the importance of kinship and to stay humble. Not to miss out, the many hilarious moments too. It reminded me those days being a calefare, where I had to keep myself occupy before being called to perform. Small earnings but the very least I got to experienced it. I believe if you are willing to work hard, you will certainly succeed one day. Hence, persevere on and never give up even if circumstances may not seems positive. The next successful person might be you. I had just completed watching this Korean drama - Memories of the Alhambra. Written by Song Jae-jung, this explains why the story is similiar to W - Two Worlds. I enjoyed such genre drama because of its thrill and uniqueness. The drama had a refreshing concept which turned out to be fun and interesting. Whether in reality or the VR game; it definitely had a great flow to its progression. The many intense and unexpected moments definitely heightened the show. The finale allowed viewers to have their own interpretation on the ending. Honestly, this is something that I would expect since the story itself had a special element on its own. If you do have similar taste, I will recommend you to catch this series. 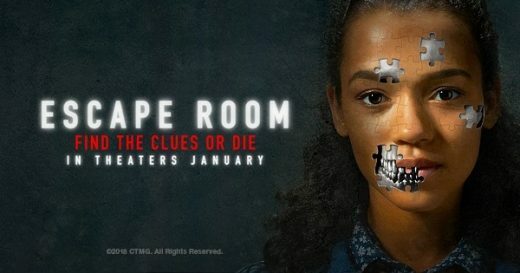 Watched Escape Room by myself at GV Plaza earlier this week. Being a fan of such reality game, I decided to catch this show. This film had a focused story-line which was fast-paced and engaging. Through this game, the six participants personality, strength and weakness are revealed. It was an interesting sight to see them strangers working together to solve the puzzle. The many intense moments definitely kept me at the edge of the seat as well. A pity that some may appear rather vague and "too good to be true". If you are a genre of such a movie, remember to purchase a ticket or two! K was abandoned by his mother after the death of his father, while Cream lost her entire family in a traffic accident. Sharing similar circumstances, the two become best friends and come to share a home. Diagnosed with terminal illness, K has never confessed his love for Cream. He wants to make sure she is settled down and happy before his time runs out. Recently, watched 比悲傷更悲傷的故事 More Than Blue with Jaslin and Ting Feng at AMK Hub Cathay Cineplexes. Personally, this romance film had a focused story-line. Though the plot itself emphasise on a love relationship between K and Cream, the movie itself was engaging and touching. The show would definitely trigger those nostalgic memories in high school too. You can expect a number of emotional scenes which was nicely depicted. Do remember to bring some packet of tissue as tears may naturally roll down from your eyes. The unexpected twist towards the finale definitely heightened the show. Can you imagine? My church mentee who does not normally watch a romance film, also enjoy it. You may wish to consider watching this movie before it goes off-screen! Watched Robin Hood with Ting Feng earlier on at GV Bedok. Personally, I felt that the show was engaging and compact as a whole. 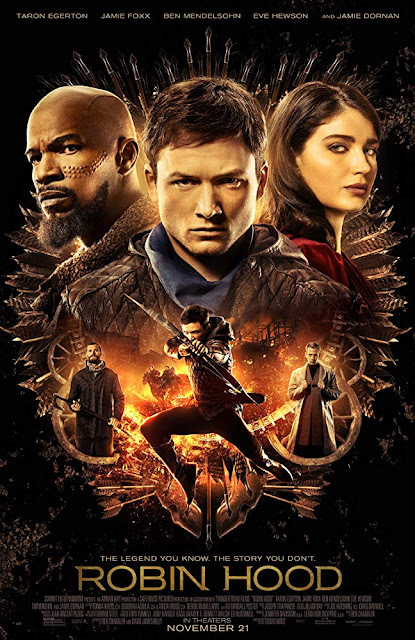 The story build up may appear rather slow-pace but somewhat, it gradually got better with a conducive plot. The battle between the Christians and the Muslims in Arabia somewhat sets a tone to its story-line. An excitement for me to view its well-planned strategies for a perfect counter-attack. There are many intense moment which kept me at the edge of my seat. Not to miss out those fight choreography scenes that are nicely depicted as well. The finale may leave you nowhere, but somewhat you will be able to grasp what is going to happen next. I am expecting a sequel for sure! A woman is falsely accuse of killing her daughter. She escapes from prison. To reveal the truth about her daughter’s death, she solves cases around her. 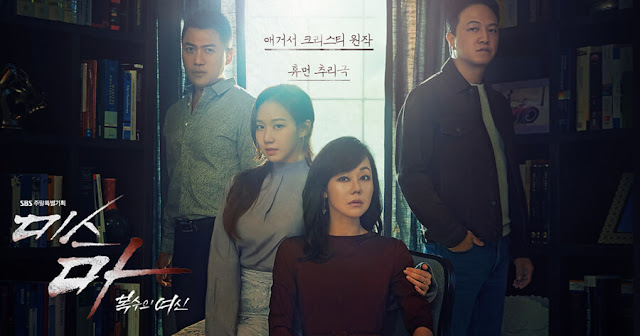 I had just completed watching this Korean drama - Ms. Ma, Nemesis. It was a surprise to me when the entire series ended at episode 32. All along, I thought that it had a total of 40 episodes. The introductory was nicely developed with a mystery element that was captivating and suspenseful. Though a slow progression in its plot, the casts whom had secret agenda actually made this already good drama, an interesting one. The "gathering of evidence and revealing of hidden truth" moment was definitely epic and kept me at the edge of my seat. Through this film, it highlighted about moral values and being ethical as a person. No doubt, you "could be somebody up there" but if you don't possess the right behaviour, the things you previously had would gradually fade.